motoraty, your car your choice - Motoraty.com is where we make online car shopping easy, car buyer can search new and used cars, get the latest cars updates, advice and reviews. Additionally, the American automaker applied for a Mustang logo in Europe. The American automaker Ford has submitted a trademark application for Mustang Mach-E in the U.S. and Europe hinting at using this name for the Mustang hybrid vehicle. Additionally, the American automaker applied for a Mustang logo in Europe. As shown in the picture above, it has a series of lines engraved on the horse’s body. 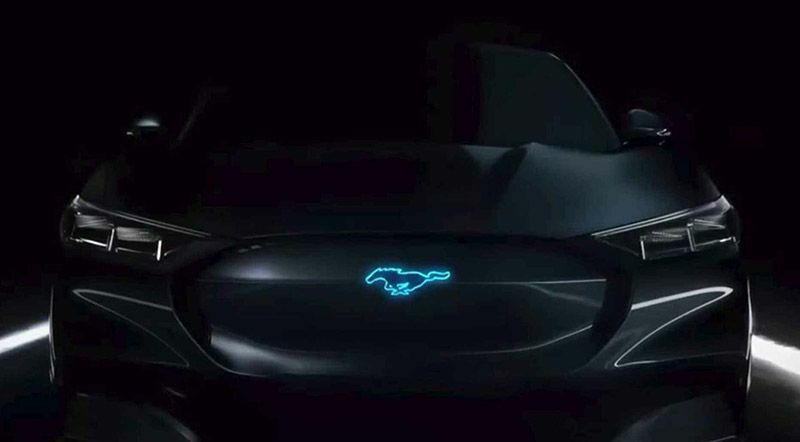 We assume this logo will stylize the upcoming Mustang hybrid. Last year in November, Ford applied for “March-E” trademark, for which it got approval last month. At that time, we were of the view that they intend to use it for Mustang-inspired crossover. However, the new filing for Ford Mustang Mach-E shows that both these names will be used for the Mustang hybrid. The upcoming hybrid Mustang may not be available until the next two years. Reportedly, it will have a combustion engine to power the rear wheels and an electric motor in the front. © 2019 - Motoraty. All Rights Reserved.